Sharjah: Karachi Kings, who slumped to a eight-wicket defeat to Islamabad United on Sunday night in the 15th match of the Pakistan Super League (PSL) at the Sharjah Stadium, are hoping that a return to Dubai International Stadium will help regain their winning ways. Karachi had posted 153 for six after batting first against Islamabad. 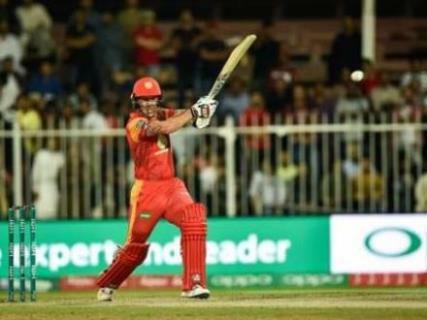 It included even a 101-run partnership between Khurram Manzoor and Babar Azam but they batted a bit slow and Islamabad chased through Luke Ronchi’s quick 71 off just 37 balls and won the match with 16 balls to spare. “We had 40 dot balls. That was very disappointing. We had a quick chat in the dressing room about it and during our next training the amount of dot balls and amount of boundaries are the two major talking points for us as a team,” said Arthur, who also remarked that in Afridi’s absence (due to knee injury), other players should have rose to the challenge. Arthur also candidly admitted that his team lacked intensity. “We were 20 to 25 runs short and our intensity was down. It is a competition of 10 games and we are not going to win everyone and I can take a loss but I cannot take a loss when our intensity was not there. That is what we will address it during the training and hit quiet hard on Thursday,” he said.